LumiDoor™ by Windgo® is an illuminated storm door providing entry area lighting for easy entry and safety. Windgo® is developing innovative solutions as shown in these proof of concept videos. WINDGO® Smart Windows enhance and expand smart home and security system technologies. Customized features and installation options make these ideal for residential or commercial applications. WINDGO® provides self powered IoT sensing devices within Windows and other building materials that bring Data Analytics to the Cloud. These devices will add energy efficiency to the ever growing problem of energy usage worldwide. 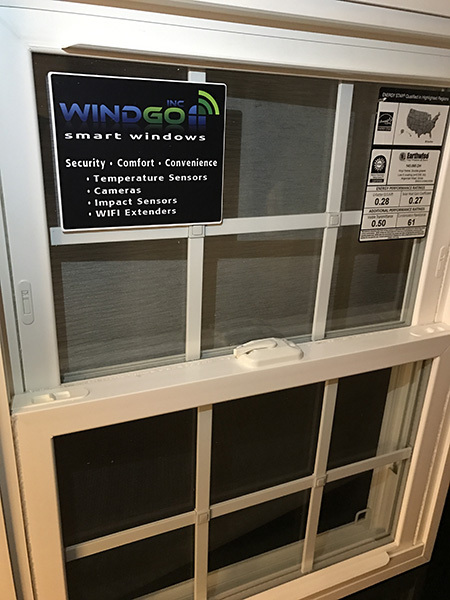 The WINDGO® Smart Windows exclusive grid intersects contain a variety of patented Smart Home features never before seen in replacement windows. WINDGO® Smart Windows apply Newtonoid™ Impact Technology to reduce sound & physical impacts on glass. Our patented Absorbud® Grid Intersects and Absorbar™ Window Muntins are designed to increase STC and OITC Ratings by reducing all types of impacts on and between glass in thermal windows, and improve glass impact absorption performance. Our system was independently tested and proven effective by Riverbank Acoustical Laboratories and Engineering Design and Testing Corporation. 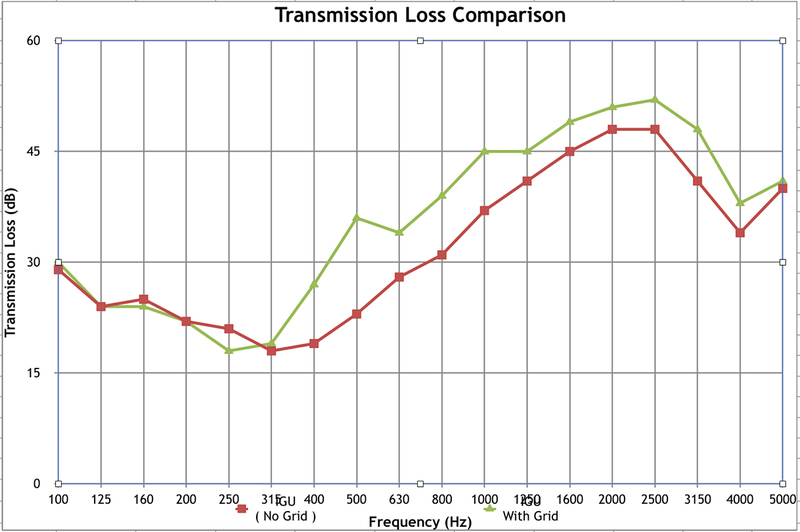 Sound Transmission Illustration with and without Absorbar™ Impact Absorption Muntin. 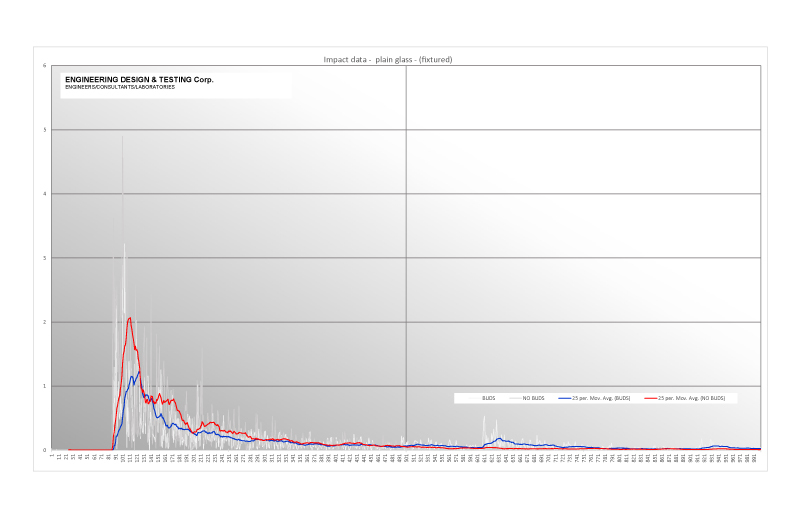 Drop Test Illustration with and without Absorbud® Impact Absorption Device. with and without the Absorbud® Impact Absorption Device. HD Security Camera Intersects can be discretely configured for interior/exterior security and video applications. Glass Contact Sensor Intersects detect impacts on glass to enhance security system pre-alarms. Temperature Sensor Intersects connect smart home thermostat control systems. Seismic Sensor Intersects detect earthquake shock waves through glass vibrations. The patented Absorbud® Impact Absorption Device Intersects help reduce breakage from hail, golf balls or other impacts. Commercial applications have endless advertising opportunities. Our patented projection technology makes holiday decorating easier than ever. Intelligent glass applications create virtual weather experiences. Did you buy Beta only to have it replaced with VHS? 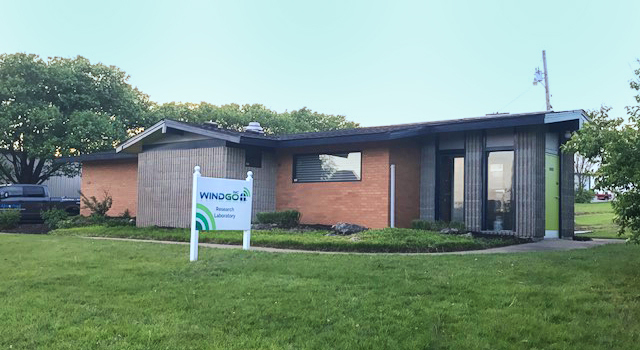 WINDGO® Technology Club members receive technology upgrade* replacement sashes upon request at a savings of up to 50%. 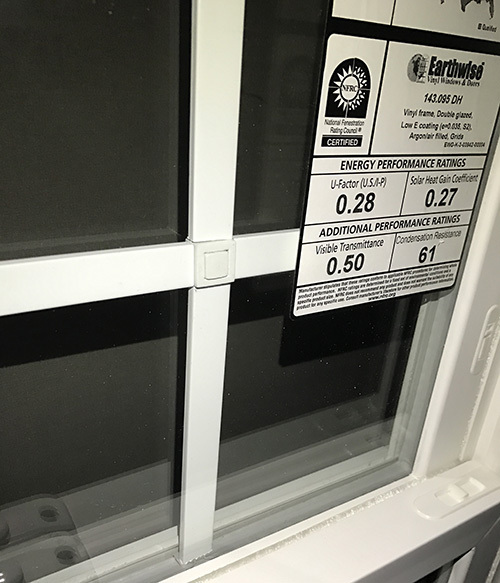 This keeps your windows current with advancements in technology and is an environmentally conscientious, cost-effective alternative to total replacement. Membership gives you the assurance and support that you will have the latest version of your chosen technologies. *Annual Membership fee is required. Upgrade sashes apply to originally purchased WINDGO® Smart Window options.